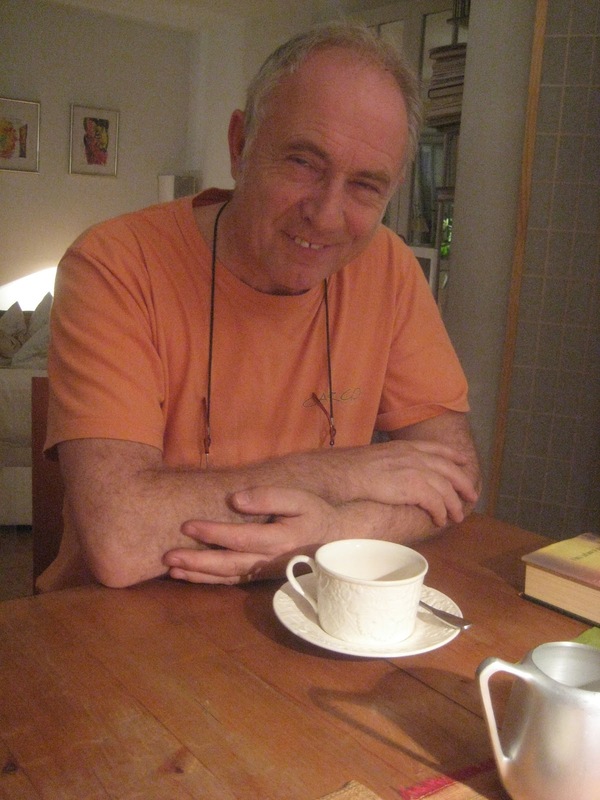 A while back I talked about how impressed I was with Günter Faltin and his Teekampagne. Actually, in the US it's called the Boston Tea Campaign, and I wrote about it in tea entrepreneur. While I promised I'd come back to the topic, I couldn't talk about it in any way but theoretically. The unavoidable truth was that I'd not had the tea. No matter how good it might be, I couldn't say so without personal experience. The thing is I have quite a bit of Darjeeling in my possession. People know this stuff is my weakness, so they send it to me. Even when I already have plenty of Darjeeling, the thought of more increases my heart rate and I'm pretty sure my eyes even dilate. I don't have a tea problem. I have a Darjeeling problem. That's why as excited as I might be about this extraordinary company, the thought of actually going out of my way to get this stuff was really impractical. Just didn't make any sense. That is until my friend Dermot reminded me that he's been ordering this tea for nearly as long as they've been sending it. If you want to know about the Boston Tea Campaign, go take a look at their American website. Really, go check it out. The vision as well as the history of this organisation is very well explained. Decided to take this opportunity to do a very informal interview with Dermot and ask him how he learned about Teekampagne, as well as some other tea-related things that you might enjoy reading. It's not a very German name my friend has. If you guessed that he was Irish, you'd be right. You've likely heard this, but the Irish drink a lot of tea. His description of how tea was prepared when he was a child in Ireland would make some of you tea obsessives recoil in horror, but we have to go there. This teablog doesn't just deal with the light and pretty aspects of tea. When it's ugly, I intend to show it in all of its gory detail. If you're sensitive about steep times and such matters, you may want to avert your eyes right now. It's actually very simple really. Add tea leaves and boiling water to teapot, let it steep, and then drink the tea till it's gone. Don't take the leaves out. They stay in the pot to the bitter end. Literally. I asked him if the tea was a sludgy abomination by the end of the pot, he insisted that no. It never took that long to finish said pot of tea. That made sense. Not so gory. Those who looked away can come back now. How did Dermot learn about this source of Darjeeling goodness? He said he moved into a Wohngemeinschaft (shared flat) years ago, and that they already ordered their tea from Teekampagne. Even when he moved away, his taste for this stuff had developed. Evidently, he has a tea problem, as well. He told a funny story about going to his doctor years ago, and devising which medications he could take while still drinking coffee. He came to the conclusion that it was easier just to switch to drinking this above-average Darjeeling than have to worry about duelling medications. He insisted that what he liked most at the outset was Teekampagne's economical price and convenience. If it'd cost more for the fair-trade status, he truly doubted that he'd have become such a loyal customer. I got the impression that only later he realised that the quality of the tea was so noteworthy. What about the fact that the tea changes from year to year? That each season's tea really has it's own character? He smiled from ear to ear, and assured me that that was in fact the very best part. This was a wonderful post. 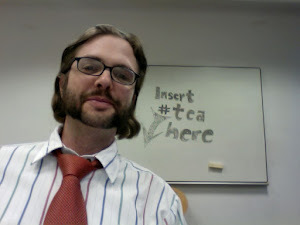 Thanks for pointing me toward the Boston Tea Campaign. I love the fact that their teas are free-trade. Plus, the cost is not prohibitive. I am excited to try some Darjeeling. I couldn't agree any more. Teekampagne Darjeeling is absolutely superior quality at a fair price. What's more, it's pure Darjeeling. Germans love their beer and by law beer has to be pure, no preservatives or else are allowed. So one might wonder why this doesn't apply to tea as well. In Germany tea is allowed to be sold labeled Darjeeling and it might be blended nevertheless. 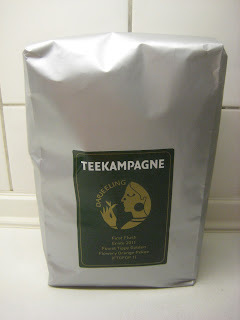 Teekampagne sells pure Darjeeling. That's why I love their tea. They sell a blend of Darjeelings from a number of tea gardens (plantations) every year but they've also got one Darjeeling from a single garden. Every year another tea garden is chosen for the so called garden tea. I order both and only second flush for the richer flavour. It's really my pleasure Elizabeth. Make sure we talk about it if you get the tea. There are some things about preparing Darjeeling that make it even better. Yes Donald, glad you posted here. I agree with what you've written and am pleased to hear you enjoy their tea as much as I do. Hope you enjoy the blog. I write about Darjeeling quite a lot.